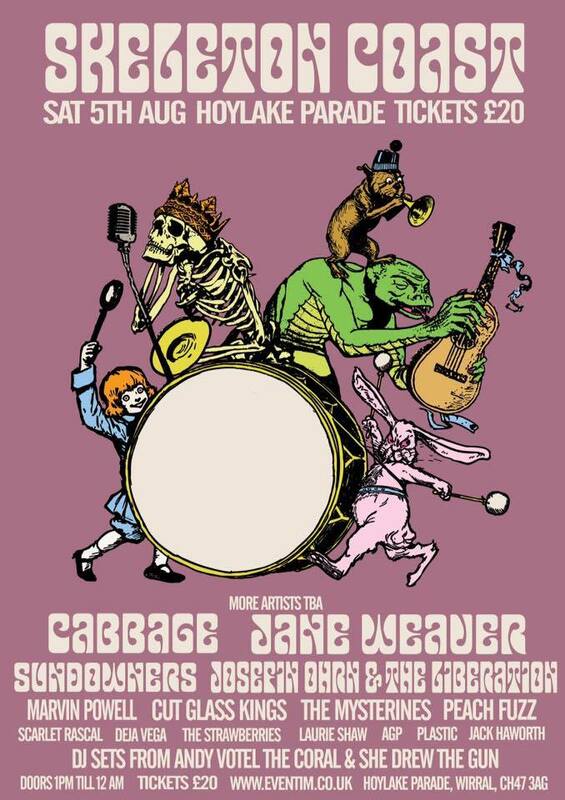 Skeleton Coast Festival returned to The Wirral last weekend for a bohemian bonanza that included Cabbage, Jane Weaver and The Sundowners. Wirral has always had a solid musical heritage, hailing acts such as The Lightening Seeds, The Coral and By The Sea. After a successful first year, which saw the likes of The Wytches, Psycho Comedy and The Floormen performing explosive sets on Hoylake Parade. This year once again showcased artists signed to Skeleton Key Records, while mixing in a number of additional Merseyside-music marvels. Walking through the entrance of the venue immediately felt like you were back in high school, traipsing through the corridors at lunch trying to find something to do. This is no surprise considering Hoylake Parade, built in 1909 was initially known as The Parade Higher Elementary School. But at Skeleton Coast, whether it be one of either two stages churning out band after band, The Coral photo exhibition or tarot reading, there were endless sources of amusement. After travelling back from the Fylde Coast that day, I was gutted to have missed The Movamahs, who have been kicking up a storm for a good few months now. Frontman Tyron Freeman has a ridiculous amount of talent both vocally and on guitar- I’d catch these guys while you can. I shot upstairs to The Skeleton Coast stage and had fortunately arrived on time to see War Rooms Records’ AGP, the dreamy project of Andrew Gordon Parry, who apart from snapping a string, powered on through his spaced out set superbly. With only small intervals between the two stages, you had to organize your time. Luckily the scheduling of the festival itself was so slick and navigating between these stages was so easy that you could plan your day’s entertainment perfectly. Back downstairs on The Skeleton Key stage were Peach Fuzz, who I had only heard of from seeing their name as a support act on a Vryll Society gig poster. 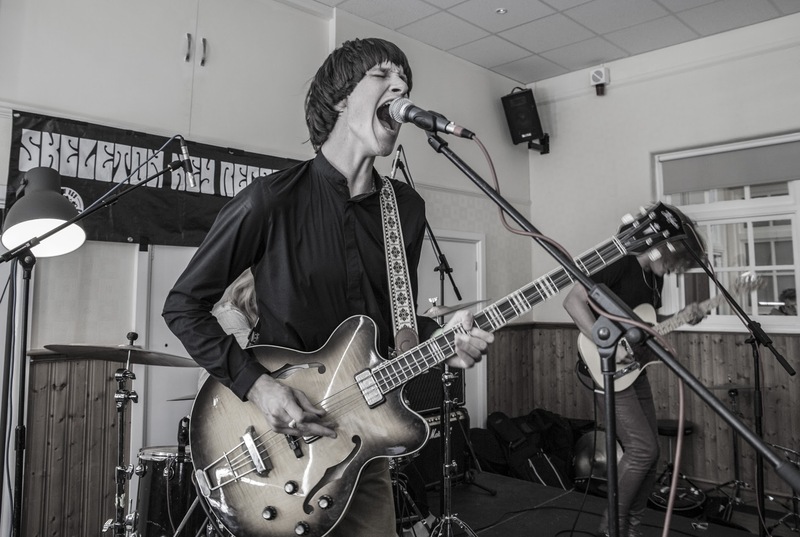 Peach Fuzz were a fine example of the hand-picked musical talent, with their psychedelic eccentricity providing an unexpected highlight of the day. Upstairs there was a juicy set from Leeds 4-piece The Strawberries, who feature at numerous This Feeling club shows and have supported artists such as The Kooks, Blossoms and The Coral, who dubbed them a ‘boss new band’ at Sound City last year. Their new single Rhymes to Get Away takes a definite influence from The Coral, while Fantasy Machine shows off their deeper psychedelic tendencies. Elsewhere there were solid performances from Cut Glass Kings, Josefin Ohrn and the one-man music machine that is Paddy Steer. 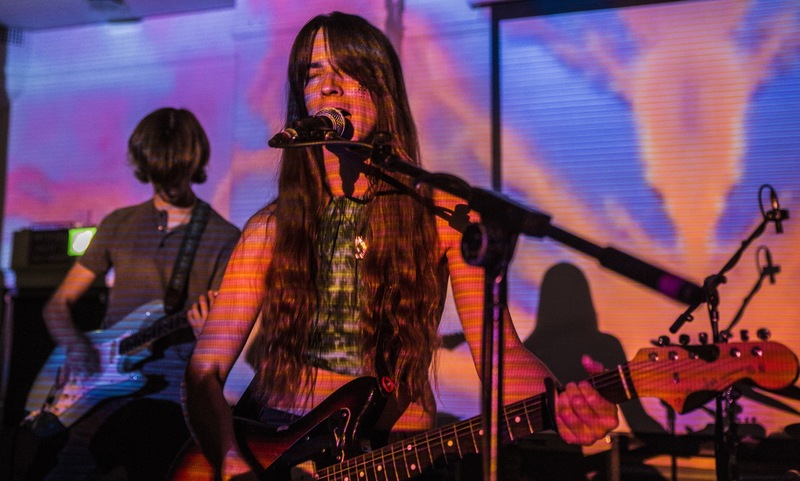 The Sundowners showcased their psychedelic folk rock to an anticipated jam-packed room. Fiona Skelly and Niamh Rowe’s dreamy harmonies were tightly honed and complemented by the psychedelic projections onstage. Upon finishing their set they instructed the crowd to head upstairs for label buddies, The Mysterines. They weren’t alone, with members of The Coral, Bill Ryder-Jones, Miles Kane and The Vryll Society, as well as last year’s acts By The Sea, She Drew The Gun and Jo Mary all heading over to Hoylake to show support for the smaller bands, which was massively encouraging for them. For me, this truly embodied the spirit of Skeleton Coast. The Wirral trio charged through their lightning set, belting out blues-inspired, guitar-heavy rock with tenacity until the power cut. But this wasn’t enough to stop lead singer-guitarist Lia Metcalfe who continued to bellow out her deep rock vocals to Bet Your Pretty Face with the pumped up crowd providing the backing chant. The strength behind Lia’s voice and the confidence radiating from these fluorescent adolescents belies their youthfulness. These guys are set to put a firm imprint on the face of rock and roll. After a quick wander round the old school I headed to the staffroom-turned-bar and grabbed myself an affordable and justified can of cider. I was so focused on seeing as many acts as I could, I’d just remembered that I hadn’t yet ventured outside – so off I went to explore. The outdoors area felt like a giant garden party; it was occupied by marquees, a DJ booth, racks of vintage clothing, food vans and the before mentioned tarot reader. Really, really good vibes. The only complaint of the day came from an old lady peering over the wall to tell the DJs to “Turn that down!” But I’m almost sure I spotted her rocking out at the front of Cabbage so I’m guessing all was forgiven. I ventured back upstairs and managed to squeeze into the back of the packed out room for a mesmeric set by Marvin Powell. His new EP, Wind before the Train, has just been released giving an opportunity to showcase his newest tracks to the concentrating crowd. This was followed by the equally captivating timbre of Jane Weaver, with her own brand of electro- krautrock. Everyone was more than ready for the chaos that ensued during the headline set from Cabbage, who have previously been signed to the Skeleton Key before signing a publishing deal with Blue Raincoat Songs. Cabbage seem to be on every festival line up at the moment, but witnessing their more than energetic live performance it’s easy to see why. They are guaranteed to get any crowd going. The set was nothing less than carnage, a mosh pit occupied a third of the room, bodies were flying across the crowd and each member of the band put every last ounce of their energy into the performance. Plus, their punk rock tune, Dinnerlady, had never been played in a more suitable venue. The Skeleton Key continues to unlock the potential of up and coming artists on The Wirral and beyond. What a day. Entertainment to the bone.